It's costing the federal government more than $22,000 to dispose of books and research material from Fisheries and Oceans scientific libraries across the country, according to new documents. The information comes from the office of Fisheries and Oceans Minister Gail Shea. 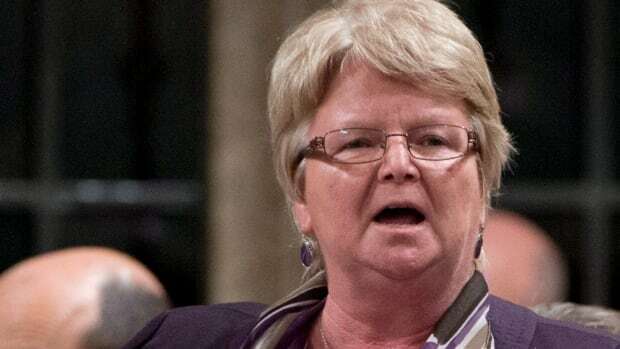 It was prompted by a request from Liberal MP Lawrence MacAulay last October, after reports surfaced that seven Fisheries and Oceans libraries were being closed and the materials destroyed. "These numbers prove it that was a destructive process," said MacAulay in an interview with CBC News. Fisheries and Oceans is closing seven of its 11 libraries by 2015. It's hoping to save more than $443,000 in 2014-15 by consolidating its collections into four remaining libraries. Shea told CBC News in a statement Jan. 6 that all copyrighted material has been digitized and the rest of the collection will be soon. The government says that putting material online is a more efficient way of handling it. But documents from her office show there's no way of really knowing that is happening. "The Department of Fisheries and Oceans' systems do not enable us to determine the number of items digitized by location and collection," says the response by the minister's office to MacAulay's inquiry. The documents also that show the department had to figure out what to do with 242,207 books and research documents from the libraries being closed. It kept 158,140 items and offered the remaining 84,067 to libraries outside the federal government. Shea's office told CBC that the books were also "offered to the general public and recycled in a 'green fashion' if there were no takers." The fate of thousands of books appears to be "unknown," although the documents' numbers show 160 items from the Maurice Lamontagne Library in Mont Jolie, Que., were "discarded." A Radio-Canada story in June about the library showed piles of volumes in dumpsters. And the numbers prove a lot more material was tossed out. The bill to discard material from four of the seven libraries totals $22,816.76. MacAulay said there's no proof it saved any money. "When these seven libraries were in place there was information that was very important to the fishing industry, and now they're gone," he said. Fisheries and Oceans is just one of the 14 federal departments, including Health Canada and Environment Canada, that have been shutting physical libraries and digitizing or consolidating the material into closed central book vaults. 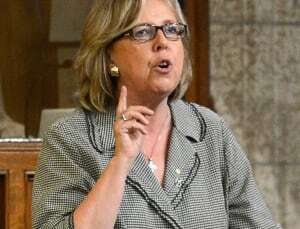 Green Party Leader Elizabeth May thinks that it may be illegal. "These materials are not the property of any government of the day to dispose of casually," said May in an interview with CBC News. "The government or the department is not allowed to dispose of them willy-nilly." May said the handling of library material contravenes sections of the Library and Archives Canada Act. Section 16 of the act says that "all publications that have become surplus to the requirements of any government institution shall be placed in the care and control of the Librarian and Archivist." Section 12 points out publications can't be disposed of without the "written consent of the Librarian or Archivist." "The purpose of the act is to stop what has happened here," said May. "Material of value to Canada has been cast to the four winds and that violates the act." May said she talked to Hervé Déry, the interim librarian and archivist of Canada, and it's clear to her the rules weren't followed. But a spokesman from Library and Archives Canada said the act allows for departments to throw out surplus research and books, as long as it's done properly and valuable material is kept. "LAC works closely with departments and provides them with guidelines and other resources to ensure that these mandatory processes are understood and followed," wrote Richard Provencher in a statement. "LAC has had these discussions with all of the closing departmental libraries that have been mentioned in recent media reports." But May isn't convinced and is considered legal options, including a complaint to the RCMP.